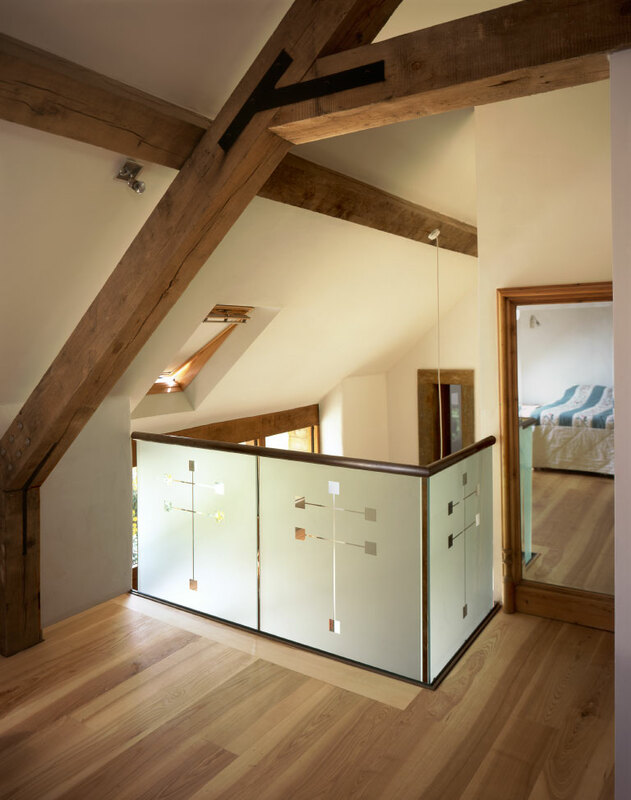 Barn conversion by residential architects Acanthus Clews. 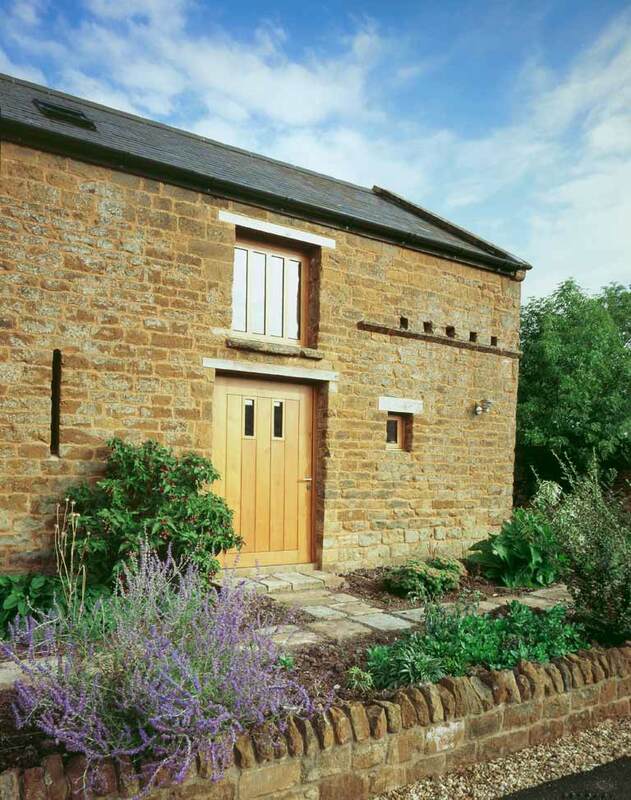 A substantial redundant stone farm building on the edge of a field in Warwickshire is now a highly crafted and individual family home incorporating a number of innovative green technologies. Large volumes were retained and extensions were added resulting in a courtyard complex. Energy saving, sustainability and recycling were important, using local materials and resources where possible. Materials also needed to compliment the architecture. Heat from the ground heats hot water and the house whilst filtered rainwater is recycled for a several uses including drinking water. Close working with the client and specialist tradesmen, a cohesive detail language was developed, including fine ashlar stonework, oak joinery throughout, and a purpose-made metal spiral staircase with etched glass balustrading. The extension has provided a snug, kitchen, utility room and bedroom plus a spacious basement.